After a record year, Hyundai’s plans for 2013 are more modest in terms of statistics, with focus shifting to improving customer experience and adding “emotion” to the brand. The Korean firm is aiming for full year sales of 75,000 cars in the UK up from 74,000 sales in 2012. That’s a growth target of 1.4%, nowhere near the 2011-2012 growth of 18.1%. This is partly down to demand – Hyundai’s factories are running at 100% capacity to keep up with growing markets like China, and so huge expansion isn’t on the cards. Instead Hyundai plans to make every customer experience the best it can be, whether they are buying a car, popping in for a service or even browsing the forecourt. Additionally, Hyundai is developing a World Rally Championship entry – the i20 hatchback forms the basis of a new rally car, which is set to compete in 2014 after some test runs during the 2013 season. Having a rally team means Hyundai has a department with a greater focus on driving enjoyment and performance, so you can expect to see sportier Hyundai variants soon. Investment in technology is also part of the plan for 2013. Hyundai is further developing its fuel-cell vehicles, which offer zero-emissions without the limited range and long charge times of electric vehicles. On top of that, Hyundai models will have greatly enhanced smartphone compatibility come 2014 - meaning owners will be able to control in-car functions like heating remotely. Since 2008 the volume of Hyundai sales in the UK has more than doubled, and with competitive products like the latest generation Santa Fe and the new i30, Hyundai hopes to retain existing customers. The company’s mid-term goal is a 5% share of the UK market – which is about the same as Peugeot and Nissan. Hyundai is relocating production of its i10 and i20 models from India to Turkey in late 2013, meaning further growth is expected in 2014, helped by an all-new i10 due to be announced later this year. 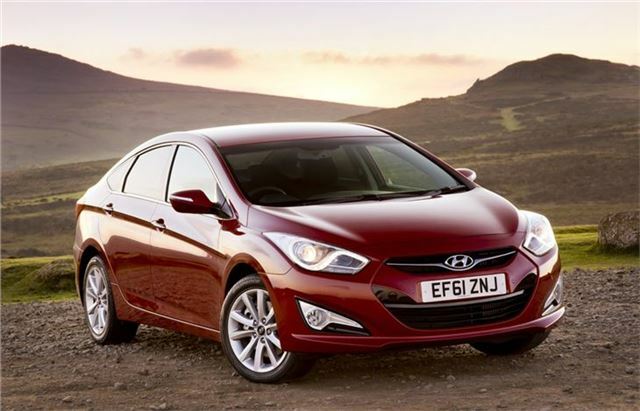 For more information on the 2012 new car market, read our round-up by clicking here.